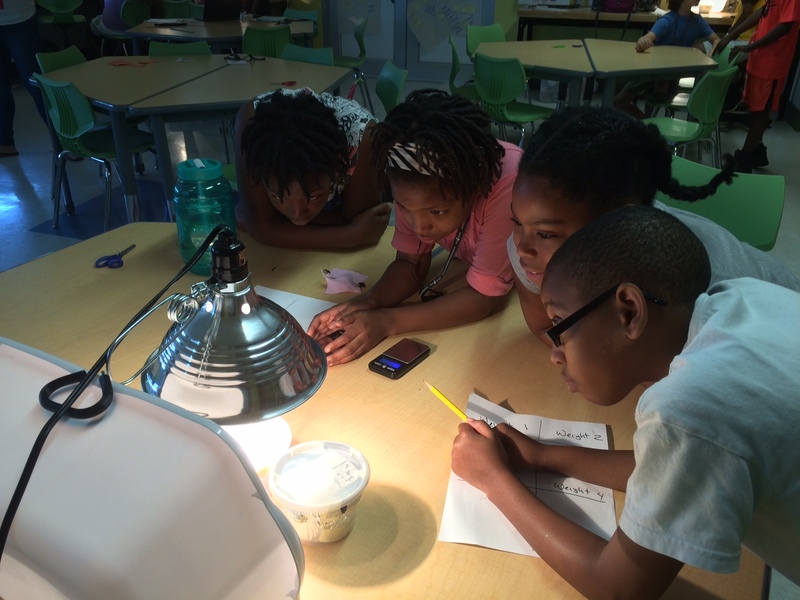 Fifth grade students test materials for their ice-cream package designs. Barclay Elementary/Middle School, in partnership with Johns Hopkins University, Whiting School of Engineering, offers a STEM-focused school year extension program for rising 5th – 8th grade students. There is no charge for City Schools students to attend! For Summer 2019, the Barclay Summer STEM Academy will be offered M-F, July 8th-26th, from 8:30am-3:00pm. Our Student and Community Showcase will take place on Friday, July 26th from 3:30pm-5:00pm. We hope you can join us! Registration is first come, first serve, and limited to twenty students per class (5th grade, 6th grade, and combined 7th/8th grade). Ten seats per class will be held for Barclay E/M School students through May 31th. Beginning June 3rd, remaining seats will be offered to applicants on the waiting list. Priority placement for City Schools students will run through June 14th. Barclay students should submit completed registration packets to Ms. Ojo. Non-Barclay students should submit completed registration packets to Becky Palmisano at rpalmis2@jhu.edu. Our program utilizes the Engineering Adventures (grade 5) and Engineering Everywhere (grades 6-8) curricula offered through the Museum of Science, Boston. To learn more about each of the engineering units, visit www.eie.org. Electrical Engineering – Light up the Night! Aerospace Engineering – Lift Off! Package Engineering – To The Rescue! Environmental Engineering – Don’t Runoff! Chemical Engineering – Plants to Plastic! Biomedical Engineering – Outbreak Alert! Materials Engineering – It’s In the Bag! Green Engineering – Here Comes the Sun! Remote Sensing Engineering – Worlds Apart! 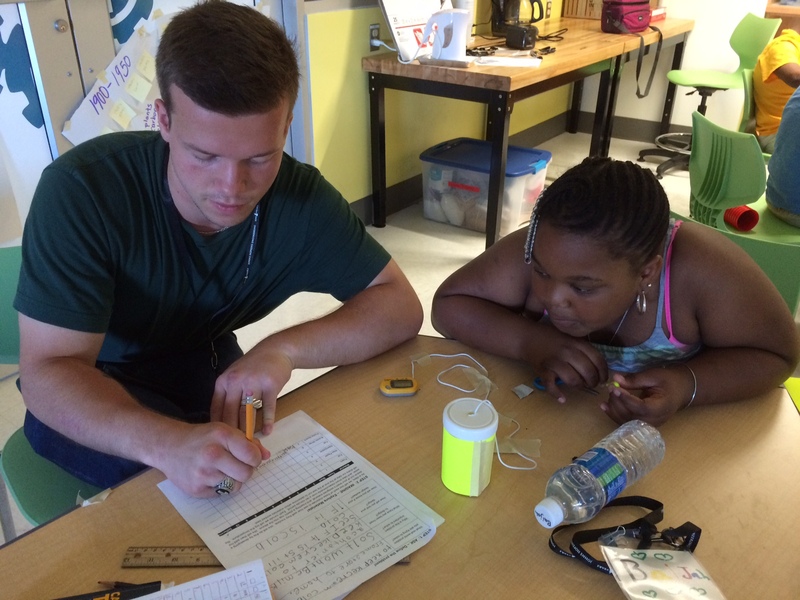 Barclay students worked with JHU undergrads during the 2016 Barclay Summer STEM Academy.